A recent research published in Molecular Nutrition & Food Research explained the benefits of eating cruciferous vegetables like cauliflower and broccoli. These vegetables are known to prevent the growth of cancer cells by targeting the prostate and other hormones that aid in growth of cancer without affecting the normal healthy cells. 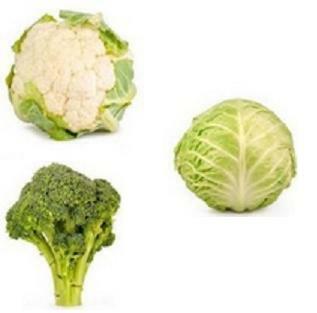 This is the first study that has demonstrated the search and attack capability of cruciferous vegetables like broccoli and cauliflower. Researchers recommend that people must have small quantities to cruciferous vegetables several times in a week to reduce the risk of cancer. The study was conducted at the Linus Pauling Institute of Oregon State University and was led by associate professor Dr. Emily Ho. Researchers found that cruciferous vegetables like cabbage, broccoli and cauliflower contained a powerful compound called glucosinolates. This compound is broken down into sulforaphane that is known for its anti-cancer characteristics. Dr. Emily Ho and her team had used prior research as their base for studying the benefits of crucifers. They used mouse models to show how sulforaphane can help in targeting hormones dependent cancers. Some of the examples of hormone dependent cancer include prostate and breast cancer. Dr. Ho commented that this is the first time that a study has been conducted to show that sulforaphane selectively targets the dangerous cancerous prostate cells and hyperplasia cells without affecting the normal prostrate cells. The study conducted by Dr. Ho demonstrated that sulforaphane helps in stopping the growth of histone deacetylase enzymes or HDAC enzymes. These HDAC enzymes usually develop in the body because of metabolic inefficiency that is caused by systemic inflammation and low antioxidant level in the body. HDAC enzymes provide the right stimulus required for the growth of cancer cells in the body. Even though many existing studies have helped in proving that the nutrients present in cruciferous vegetables can help in development of cancer, this is the first study that helps in proving how cruciferous vegetables can help in specifically targeting prostate and breast cancer cells.